Zinc alloy construction. Supplied with bar and fixing screws. Short backplate length 106 x 42mm. Long backplate length 152mm x 42mm. 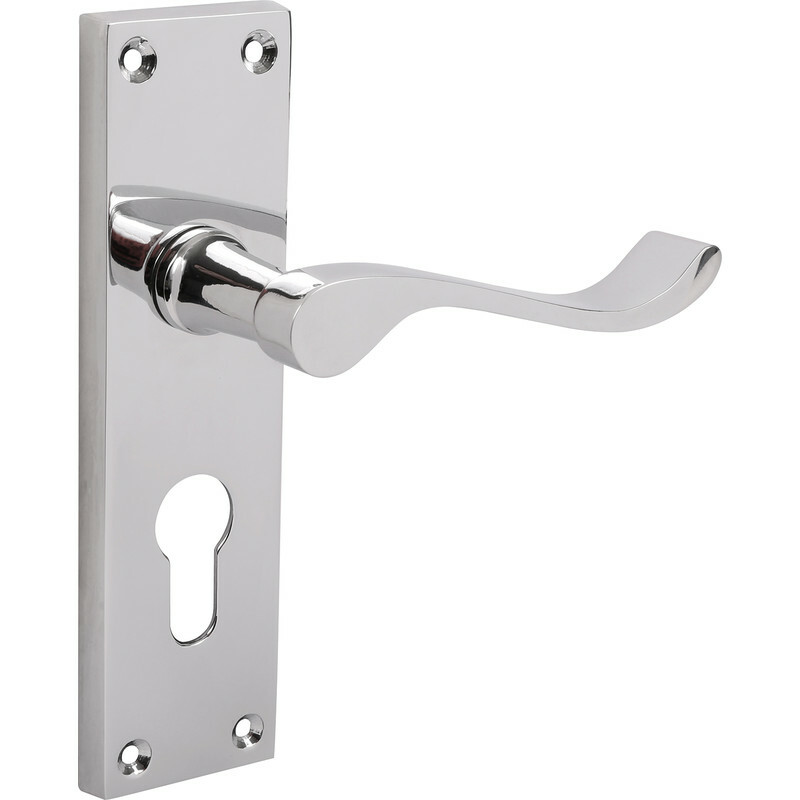 Lever length 97mm. BS EN1906 certified. Victorian Scroll Door Handles Euro Lock Polished (2 Pack) is rated 4.2 out of 5 by 30. Rated 4 out of 5 by Dillon281 from Great replacement for my existing handles. Good quality , for a very good price compared to others . Rated 5 out of 5 by Doug L from Great product A joiner fitter a similar set of handles, +another set without a lock / key apperture,and when we asked where they had been purchesed from he named your store. As we felt they were exactly what we wanted so we got this set for another existing door, and we will be (more than likely) going to replace all the other door handles.. Rated 5 out of 5 by jones20 from Good Value Not bad quality used to replace some old tarnished brass handles, doorslook much better now. Rated 5 out of 5 by Lynsey from Fantastic! Looks fantastic, really easy to fit, well made. Rated 5 out of 5 by Stan 67 from well made door handles ,look great . very good quality , great price .